to determine the contribution of specific activities, environments and pollution sources to the personal exposure of the Beijing population to air pollutants derived from outdoor sources. Implementation of the research was through two major field campaigns based in Beijing and rural sites outside of the city which took place in November–December 2016 and May–June 2017. The work involved measurements of air pollutants as well as key precursors, reactive species and meteorological variables in three spatial dimensions, with a view to creating an enhanced understanding of the processes determining pollutant concentrations, especially in relation to particulate matter and photo-oxidants. This special issue brings together the research involving studies of the atmospheric physics and chemistry of pollutant sources and processes affecting the Beijing atmosphere. Although linked to studies of personal exposure and human health, the majority of the latter work will be published elsewhere. Please note that it is intended that this special issue only feature articles associated with the APHH-Beijing programme. When submitting an article, please indicate in the author’s statement which project it is associated with. If in doubt, please contact one of the special issue editors first. This article investigates on the chemical organic composition of fine particulate matter (PM2.5) in Beijing-China. It includes the identification and quantification of 35 polycylic aromatic compounds . It shows their distribution between daytime and night-time and the chemical relation with gas phase concentrations of other pollutants. 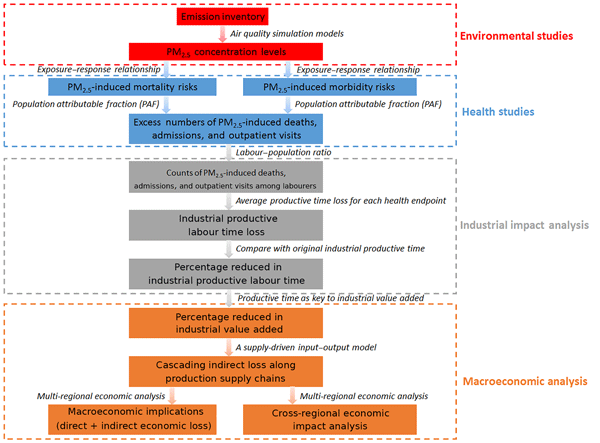 We have identified major sources of emissions and we have reported an estimation of cancer risk associated with particles inhalations in Beijing. 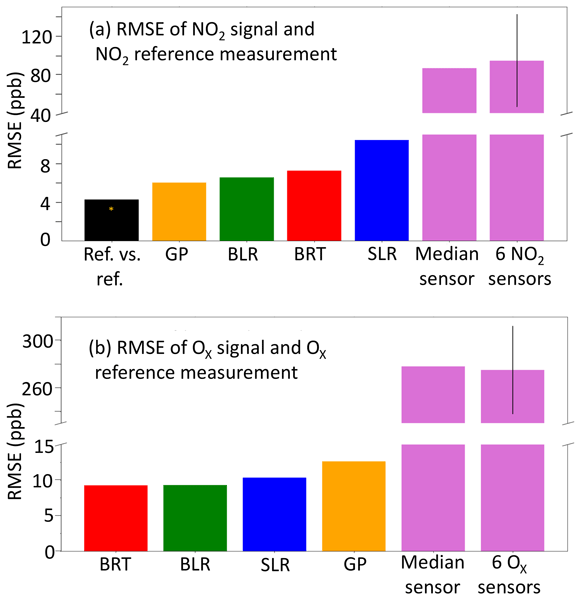 Clusters of low-cost, low-power atmospheric gas sensors were built into a sensor instrument to monitor NO2 and O3 in Beijing, alongside reference instruments, aiming to improve the reliability of sensor measurements. Clustering identical sensors and using the median sensor signal was used to minimize drift over short and medium timescales. Three different machine learning techniques were used for all the sensor data in an attempt to correct for cross-interferences, which worked to some degree. A five-year Clean Air Action Plan was implemented in 2013 to improve ambient air quality in Beijing. Here, we developed a novel machine learning-based model to determine the real trend in air quality from 2013 to 2017 in Beijing to assess the efficacy of the Plan. We showed that the action plan led to a major reduction in primary emissions and significant improvement air quality. The marked decrease in PM2.5 and SO2 is largely attributable to a reduction in coal combustion. This work is part of the UK-China APHH campaign. 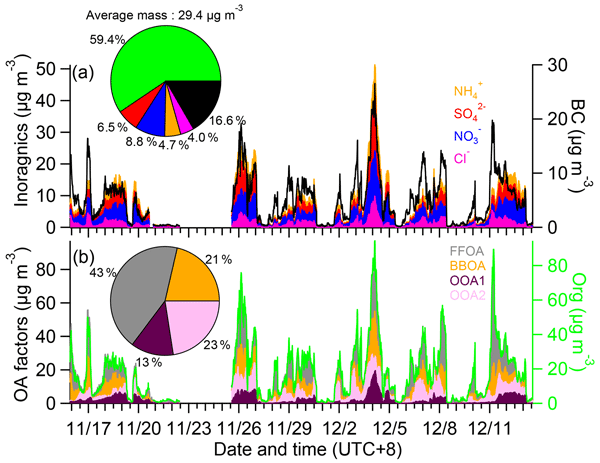 We used a laser-only Aerodyne soot particle aerosol mass spectrometer, for the first time, to investigate the concentrations, size distributions and chemical compositions for those ambient submicron aerosol particles only with black carbon as cores. Our findings are valuable to understand the BC properties and processes in the densely populated megacities. This study is part of the UK-China APHH campaign. To identify both source types and source regions at the same time, this study developed a combined method including receptor model, footprint model, and air quality model for the first time to investigate sources of PM2.5 during haze episodes in Beijing. It is an expansion of the application of receptor model and is helpful for formulating effective control strategies to improve air quality in this region. Regional transport and heterogeneous reactions played crucial roles in haze formation. 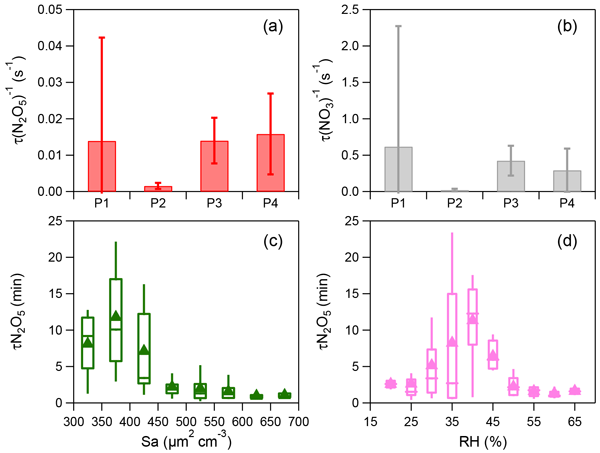 Using chemical transport model, we found that chemical transformation of SO2 in the transport pathway was the major form of sulfate regional transport. Heterogenous chemistry had a stronger effect under high humidity and high pollution levels. Aerosols underwent aging along transport which altered aerosol size and aging degree. These changes would affect regional radiation and climate. This study provides source attribution and characterization of BC in the Beijing urban environment in both winter and summer. For the first time, the physically and chemically based source apportionments are compared to evaluate the primary source contribution and secondary processing of BC-containing particle. A method is proposed to isolate the BC from transportation sector and coal combustion sources. APHH-Beijing is a collaborative international research programme to study the sources, emissions, processes, health effects and mitigation solutions of atmospheric pollution in Beijing. This introduction paper provides an overview of (i) APHH-Beijing programme, (ii) the measurement and modelling activities performed as part of it in Beijing, and (iii) the air quality and meteorological conditions during the two intensive field campaigns as a key part of APHH-Beijing. We present measurements of gas-phase N2O5 and ClNO2 by ToF-CIMS during summer in urban Beijing as part of the APHH campaign. High reactivity of N2O5 indicative of active nocturnal chemistry was observed. 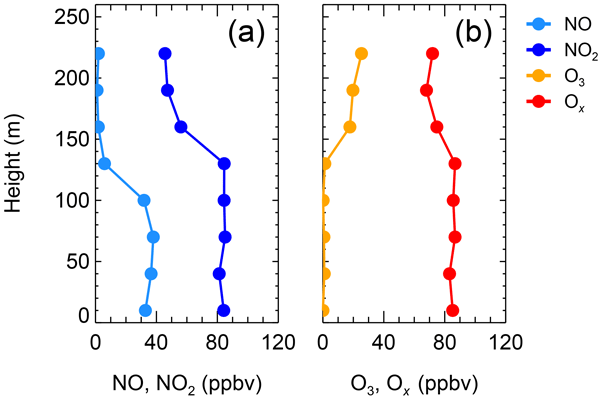 The lifetime of N2O5 as a function of aerosol surface area and relative humidity was characterized, and N2O5 uptake coefficients were estimated. We also found that the N2O5 loss in this study is mainly attributed to its indirect loss via reactions of NO3 with VOCs and NO. The vertical measurement of NOx and O3 was carried out on a movable carriage on a tower during a winter heavy-haze episode in urban Beijing, China. 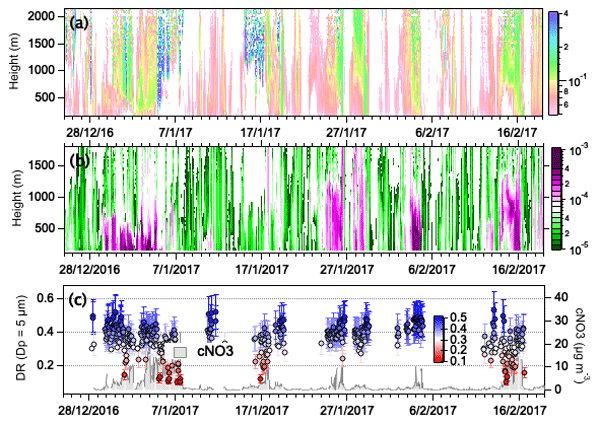 We found that pNO3- formation via N2O5 uptake was significant at high altitudes (e.g., > 150 m), which was supported by the lower total oxidant (NO2 + O3) level at high altitudes than at ground level. This study highlights the fact that pNO3- formation via N2O5 uptake may be an important source of pNO3- in the urban airshed during wintertime.